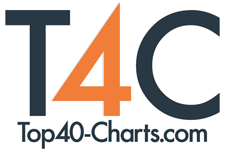 New York, NY (Top40 Charts) With VillaMix Festival GOIÂNIA set for Saturday, June 30 and Sunday, July 1, the largest music festival series in Latin America continues its growth with an expanded line-up highlighted by superstars Shawn Mendes and Nick Jonas topping the bill. At the same time, VillaMix Festival is looking to expand with events outside of Brazil. Having launchedin 2011 with one event at the Serra Dourada Stadium in Goiânia (GO), with the objective of bringing together a mix of artists managed by Audiomix, VillaMix is now considered a hallmark of entertainment and has grown into the biggest music festival brand in Brazil. The more than 20 annual concerts throughout the country showcase the greatest and best national and international music. By 2013, VillaMix had grown into a multi-city event, with concerts staged in 20 Brazilian cities, breaking a public attendance record (of more than 700,000 attendees). That same year, the event was first aired nationally during prime time on the Globo TV network (the largest network in Brazil). VillaMix continued its growth with 30 festivals in 2014, attracting more than five million YouTube viewers in 2016and earning two Guinness Book Of World Records distinctions for having the largest event stage in the world, first in 2015 and then again in 2017. The 8th annual VillaMix Festival GOIÂNIA (in the capital of the Brazilian state ofGoiás) will be held adjacent to the Serra Dourada stadium. Saturday night is headlined by singer, songwriter, producer and actor and international sensation Nick Jonas and Sunday night will close with singer, songwriter, guitarist and chart-topping superstar Shawn Mendes. The bill is rounded out by leading Brazilian artists Jorge & Mateus, Simone & Simaria, Matheus & Kauan, Wesley Safadão, Alok, Aviões, Kevinho, Cleber & Cauan, Jefferson Moraes, Jonas Esticado, Guilherme and Santiago, Edu Chociay E JetLag. Beyond the expansion in their own country with the addition of English-speaking acts, the VillaMix Festival is in dialogue to expand outside the country with events planned to take place outside of Brazil. The first event outside the country took place earlier this year in Paraguay on March 10. Next up is the first VillaMix on another continent, October 6 at Alice Arena in Lisbon, Portugal with Jorge & Mateus, Alok, Matheus & Kauan, Simone & Simaria, Kevinho, Wesley Safadao confirmed to perform.